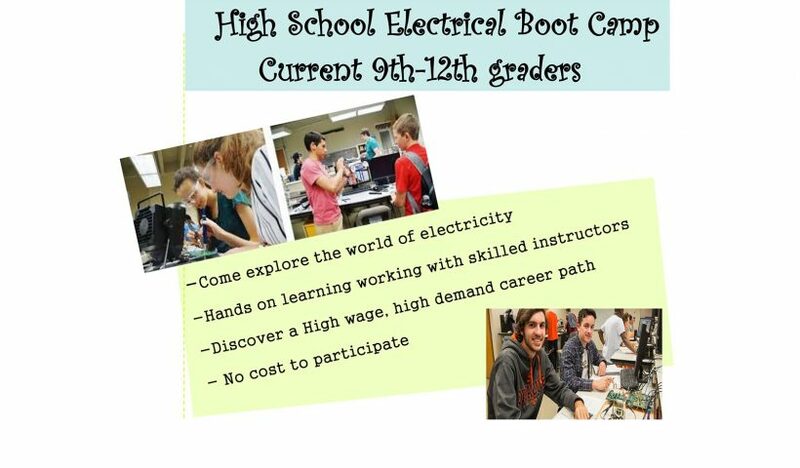 A new boot camp will help students explore careers as electricians. 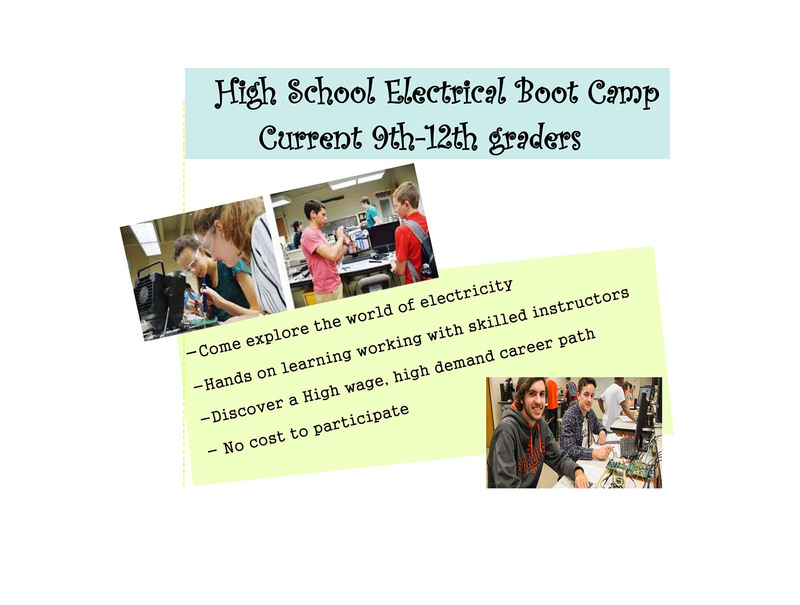 The hands-on workshop will offer high school students the chance to learn beginning skills and work with skilled instructors at the Central Electrical Training Center in Tangent every Tuesday from April 3 through June 5. If interested, register now to reserve a spot. Space is limited.